He is a birthday present from my sister in law. 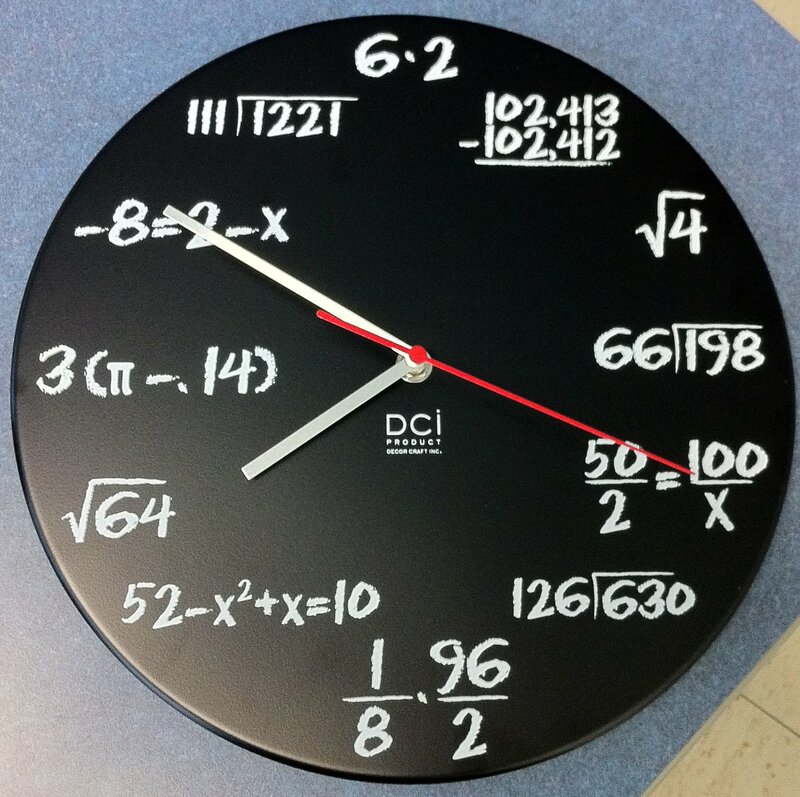 Awesome gift, I’m going to put it over the clock in my room (there would be rioting, but the kids can’t read an analogue clock anyway). But can you spot the error? That mistake is sad… I’d think that most people know pi doesn’t stop at 3.14. Boo. The rounding issue of pi is one possible error, but I’m more intrigued by the possibility that between 6:59 and 7:01 it could be -6:00. Yea I like the time warp idea. I’ve never been to -6:00 o’clock but it does seem intriguing!